Everything was excellent. Would have benefited from more practice with the material to tackle the practitioner exam. Perfect size and the timings worked well over 2 weekends. Trainer was really friendly and knows her stuff. Excellent structure and communication. Theory blended with real life scenarios perfectly. Top marks. It was well structured and the material was well presented. Really enjoyable, very well delivered. Great course mateirals. I really enjoyed the pace of the course. Tutor was very good at sharing knowledge. She is very professional and extremely knowledgable. It was an engaging course. I liked it. Trainers style was very engaging. I think the course trainer was very helpful. Helped us to understand the course and ensured we knoew what we were doing. I think her teaching style was very impressive. 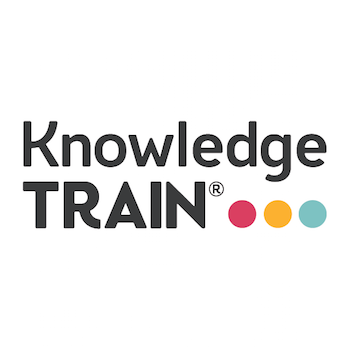 Knowledge Train is a training company in London. We provide classroom and online courses accredited by AXELOS, APMG, PMI, BCS, APM Group and DevOps Institute. Since 2005, we have helped over 12,000 people gain professional certification. We can also provide in-house training for organisations anywhere worldwide. Some of our clients include: BBC, United Nations, IBM, Mitsubishi, Ernst & Young, Boeing, British Red Cross and Imperial College. Knowledge Train is committed to be an ethical company. We respect our customers, staff and people affected by us. We maintain these values with charity donations. We donate £5 to charity for every course booking received. This is done monthly, to a different charity each time.